A disassembling and shifting of an old detached house from the centre of Yekaterinburg city. Not long ago I had shown wooden house from Yekaterinburg, and today have a reason to offer you one more. When I had found this house Yekaterinburg, its surrounding surprised me a little bit; modern multi-storey buildings neighbored this pearl of wooden architecture. How could it survived there? I didn’t find a memorial plate, yet the house is just gorgeous and obviously had been far more attractive in its early days. It was my immense luck when I had found the clues to all my questions in the book titled Wooden Buildings of Ural. The house owned by Mrs. Ye. Semyonova (please do not ask who that respectable lady was, as I could not find a word about her) was built 101 years ago, in the year of 1912, at Pokrovsky Prospect, now much broadened and re-titled into Malyshev Street. Yet now its address is 22, Karl Marks Street, very differentplace. Why? 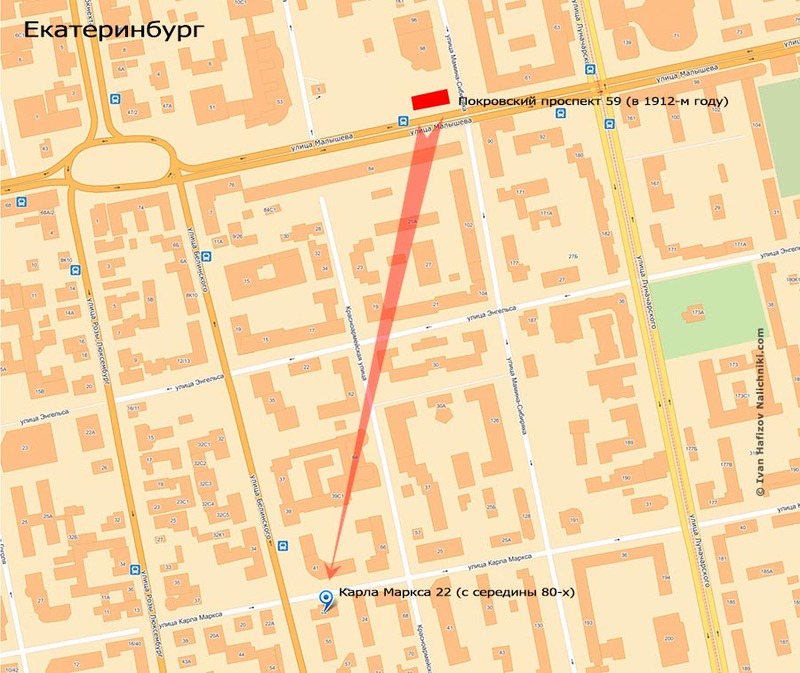 Because during 1986-1987 reconstruction Malysheva Street was broadened, and the house was disassembled and shifted to other place. As it was the practice in the USSR, a team of restoration architects and art historians headed by N.Kuzmina, famous historian from Uzbekistan, developed a project of disassembly and shift of the architecture relic. What makes the house interesting is that on the other hand, it is a mezzonine house of early XIX century, very typical of Ural. On the other hand, turrets on its roof are marks of late XIX century, and its saw-through and three-dimensional carving has some elements of art nouveau (I have already shown its window). Loss of such a valuable piece was just impossible, and it had been moved to a different place. In the process, its roof turrets were not even dismounted and stayed as they were! 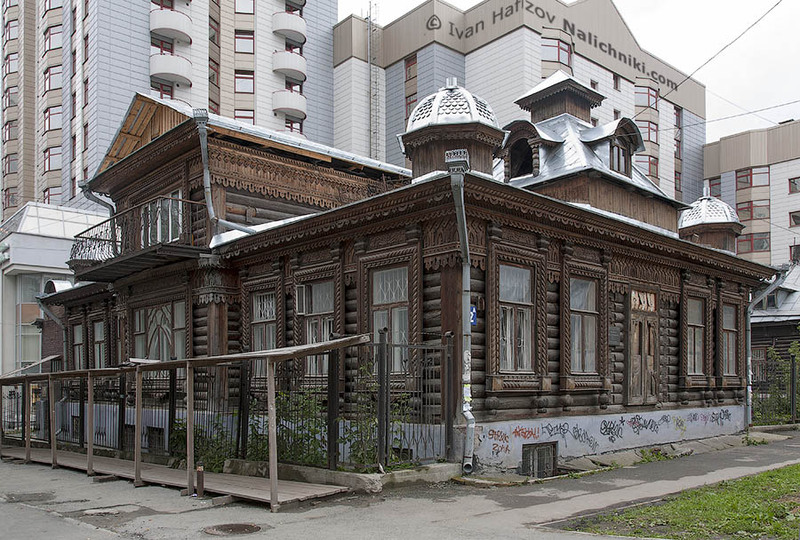 What’s more, restoration and moving of that house has remained unique for Yekaterinburg!